Today, April 2, is World Autism Awareness Day. This is why today and throughout this month activities will be carried out in different parts of the world to raise awareness about how to include and understand those affected by Autism Spectrum Disorder (ASD). This article showcases four free applications that improve the quality of life of those who suffer from this problem. ASD has traditionally not been properly diagnosed in society; as a result, people affected by it do not receive adequate services and support, and are often subject to stigma, discrimination, and human rights violations. The autism spectrum covers a range of conditions characterized by challenges in communication and social interaction in various contexts, coupled with restrictive and repetitive patterns of behavior, interests, or activities. According to the CDC, one in 59 people has autism; however, statistics do not reflect this because the condition is often misdiagnosed due to lack of sufficient knowledge. In addition, the World Health Organization estimates that 1 in 160 children has an Autism Spectrum Disorder (ASD). We at GeneXus want to contribute by telling you about the APDIF technology platform: A platform of applications designed and developed to improve the self-reliance and autonomy of people with ASD, which provides greater self-esteem and a better quality of life for those who use them, thus helping to their inclusion in society. 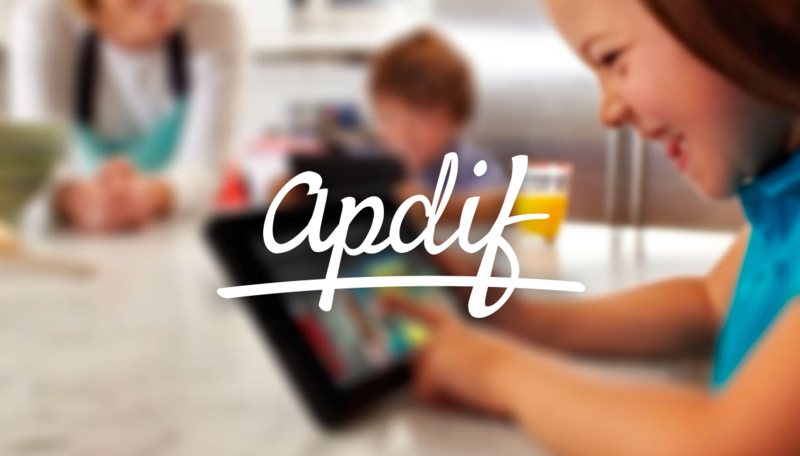 Apdif.com currently offers 4 applications, all aimed at helping people with different degrees of difficulty related to communication, execution, organization and learning, among other daily life activities. APDIF’s apps which are available for free at the iTunes and Google stores are as follows: ChatTEA, Interagir, Llevo todo, and Ahoraleo. They are currently used at both the family and institutional levels in Uruguay, Argentina, Brazil, Spain, United States, and Mexico. “We have made it possible for children who didn’t dare to stay alone in their homes to do so for the first time, as they communicate with their parents through the app and that experience puts them more at ease,” says Daniela regarding the users’ experience. It allows sending text messages, images, audios, and questions that can be answered with multiple-choice images. ChatTEA facilitates communication to people with autism spectrum disorder, including them in trusted family and social circles. People with ASD need social guides to help them get out of their rigidity and restricted interests that are characteristic of ASD. This app helps them prepare and practice dialogues or situations to lower anxiety. This application gives independence to people when assembling their backpacks. There is a simple list of items and the user selects which ones are already saved. The administrator enters the necessary items according to the situation. Ahoraleo allows us to create stories with the favorite characters and topics of those who are learning to read. Every phrase and every word has its sound. It is also a way of learning with no need to depend entirely on another person. All these applications have been developed using GeneXus, with the support of our Company Builder ThalesLab and the National Agency for Research and Innovation (ANII), and sponsored by Telefónica-Movistar foundation. If you have an idea that you think may help enhance other people’s quality of life, we encourage you to contact APDIF by email at info@apdif.com with the subject “Me apoyan con esta idea?” (Can you help me with this idea?). Transition to SAP® HANA: Adopt GeneXus for SAP Systems!